Take the 2018 Volkswagen Golf SportWagen for a ride and you’ll be amazed by its versatile features and sporty design. The 170-hp 1.8L turbocharged TSI® engine delivers impressive power, and the available 4MOTION® All-Wheel Drive (AWD) helps you navigate sharp corners and sloping hillsides with optimal traction. Utilize up to 66.5 cu. ft. of cargo space, or enjoy an adventure with friends, as the SportWagen seats up to 5 people. Connect your smartphone to make hands-free calls, listen to music and more as you cruise. 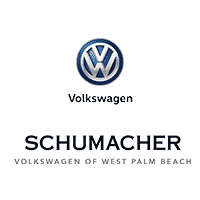 Test drive the 2018 Volkswagen Golf SportWagen today in West Palm Beach, Florida. Why the 2018 Golf SportWagen?